Why Use a Handyman For DIY Home Security? DIY home security projects are pretty easy to complete on your own. Whether you have very little–or even zero–experience with DIY projects, if you can read and follow directions, DIY home security projects are not out of your reach. In fact, you can usually get small jobs done within a day or within a weekend for larger projects. However, people who are short on time, who lack confidence in their DIY skills or who simply do not want to engage in DIY projects might want to consider hiring a handyman. By doing so, you still save money on DIY home security and can rest assured that your installation will be done right. Ask For Referrals ~ Ask family and friends for the names and telephone numbers of handymen they’ve used in the past. You’d be surprised at how many people have an outside person they turn to whenever they need an odd job completed around their home or office. We do have one word of caution in using this method, though–before anyone begins working in your home, take the time to verify that they are experienced with DIY home security alarm installations and similar projects. Verify, also, that this person is licensed and bonded before allowing a referred handyman into your home. Ask People You Trust For Help ~ Who says you have to have someone who works full or part time as a handyman help you with your DIY home security projects? 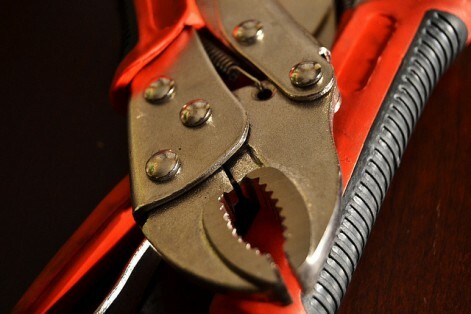 Do you have a family member or a friend who has basic handyman skills? Can this person read simple instructions and handle a screwdriver? Invite the handiest person you know over to help you with your installation.